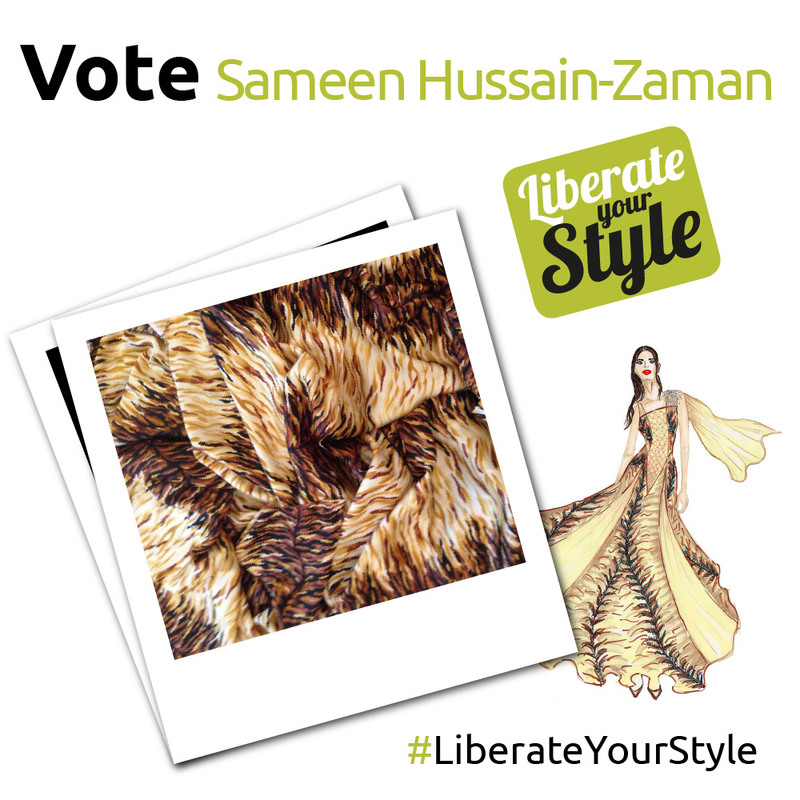 Sameen Hussain-Zaman – Got the Invite? My Garment: A long dress inspired by wedding wear. What Style Means To Me: I was inspired by a mix of personal interests and my background as an Indian woman born in London. My style is influenced by my eastern roots, however I combine this with modern and traditionally western garments. My Concept: This particular dress I have designed was chosen firstly because of my interest in long dresses, but also because of the fabric. I bought the satin print fabric from Dubai while I was living there in 2005. I loved it instantly and knew I wanted to make something special from it, perhaps mixing it with chiffon, another fabric I love, to make a dress for a special occasion. The design of the dress was influenced by my personal style, with the embroidery on the shoulder being a very traditional Indian style, while the Swarovski crystals on the body and style of dress mixing both eastern and western influences.